From the World Federation of Neurology, c/o Western University, London, Canada. The World Congress of Neurology (figure 1) theme “Neurology in a Globalizing World” acknowledges that science and increasingly medicine and neurology are becoming globalized. The best way to manage change is to shape it. It is becoming equally clear that brain diseases, particularly stroke and dementia, are projected to rise at a rate that could overwhelm our clinics and hospitals. Hence a new emphasis on prevention and the need to work across disciplines beyond our traditional roles. Neurologists are the guardians of the brain and need to take the lead role in advancing new approaches in stemming the tide of neurologic diseases. Reprinted with permission from Eduard Auff, MD, Congress President, World Congress of Neurology, 2013. In recognition of this, the World Federation of Neurology (WFN) has expanded its mission to read “to foster quality neurology and brain health worldwide.” In order to further this agenda, the WFN has created the World Brain Alliance (WBA), with a membership of 10 organizations: Alzheimer's Disease International (ADI), European Brain Council (EBC), International Brain Research Organization (IBRO), International Child Neurology Association (ICNA), International League Against Epilepsy (ILAE), World Federation of Neurorehabilitation (WFNR), WFN, World Federation of Neurosurgical Societies (WFNS), World Psychiatry Association (WPA), and World Stroke Organization (WSO). The ABC of the WBA is Advocacy, Brain Year, and Collaborations. The year 2011 was unique in that for only the second time in its history, the United Nations passed a universal resolution on health, this time on noncommunicable diseases, within which most neurologic conditions fall. The author believed that if we were going to have an influence on the United Nations agenda, then we should begin by working through the WHO. 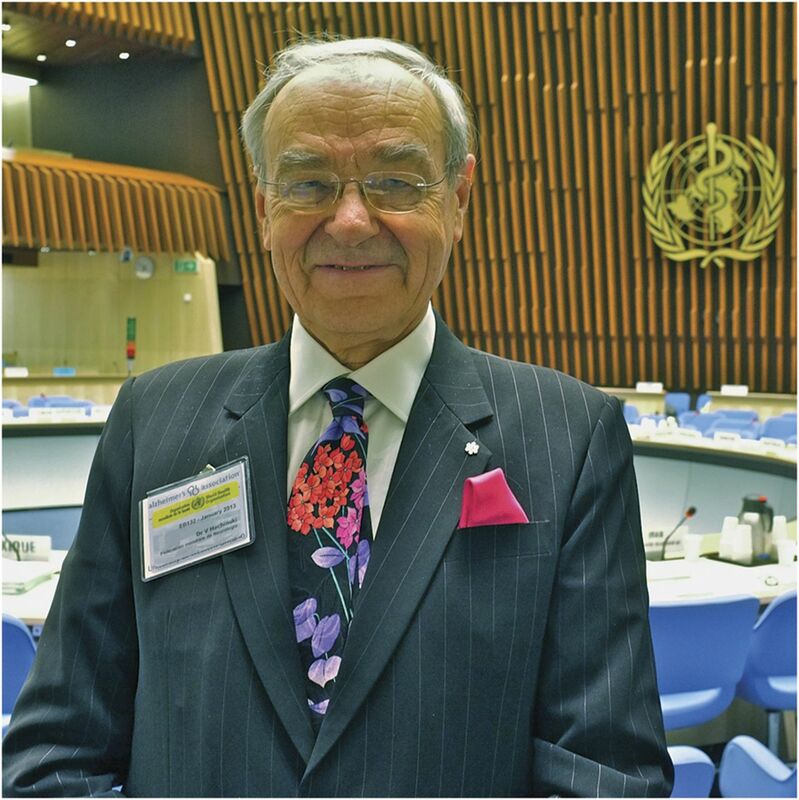 We continue to advance the message where we can, including at the World Health Assembly in May 2012 and the Executive of the WHO earlier this year (figure 2). The EBC, under the leadership of its president Mary Baker (United Kingdom), is preparing to launch a brain year in 2014. This is to celebrate the creativity, vitality, and essentiality of the brain in all human endeavors. It will be characterized by a number of public activities with participation not only by neuroscientists but also by creative individuals who can highlight the need for a healthy brain. Tentatively, 3 of the major communications will be from a neuroscientist, from a creative individual, and from an Olympic sports champion, to emphasize that sports are not only physical but also brain sports. The plan is that 2014 will be the Brain Year in Europe; among its highlights will be the construction of a giant brain that will travel from place to place. The year 2015 will become the Year of the Brain in the Americas and 2016 will be the Year of the Brain in Asia. Vice President Werner Hacke (Germany) is organizing a network of subspecialty brain organizations so that we can not only work together at an international level, but also organize future congresses with the participants of all the relevant subspecialties. The initial organizational meeting took place at the World Congress in Marrakesh in 2011, and this is being followed up by a survey identifying areas of mutual collaboration. This effort has been complemented by the Chair of the Applied Research Committee, Donna Bergen (United States), who has updated and reorganized the historical “research groups.” It turns out that most of them were not engaged in research, but education. A few have atrophied, others have grown and become separate organizations, such as the Parkinson group, and others have been created to address emerging areas in neurology, such as the outcomes and the palliative care groups. 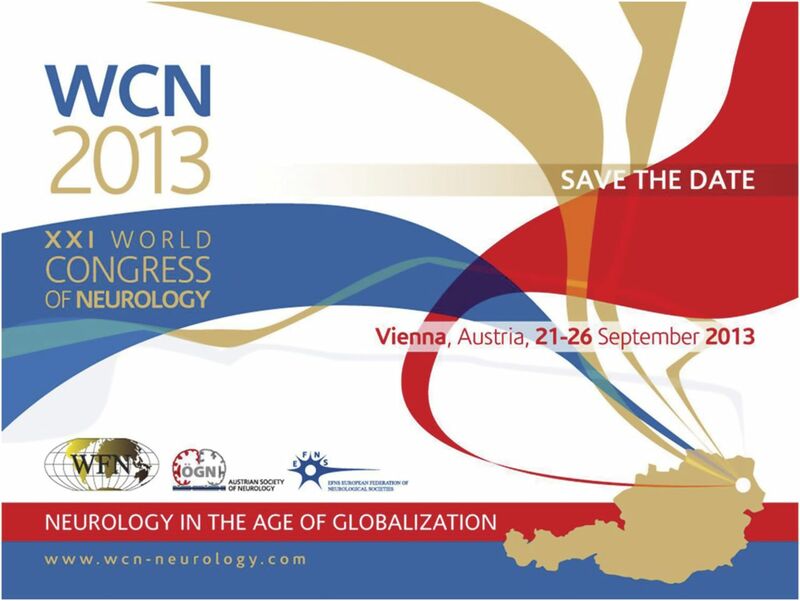 The XXI World Congress of Neurology, to take place in Vienna, September 21–26, 2013, reflects these new alliances, given that several sessions are cosponsored by the WFN and members of the WBA and the neuro subspecialty network. The Presidential session will address global neurology and the WFN's growing role in advancing a world brain agenda. A special guest of the Congress will be Eric Kandel, Nobel Prize winner and native of Vienna, who will cover some of the aspects of his recently published book The Age of Insight: The Quest to Understand the Unconscious in Art, Mind, and Brain, from Vienna 1900 to the Present. The Congress will feature invited speakers and submitted presentations, teaching courses, seminars, symposia, and hands-on workshops. It will culminate with a “Tournament of the Mind,” a battle of wits of neurologists from 5 continents. The President of the World Congress of Neurology, Vienna, 2013, is Professor Eduard Auff, from the Austrian Neurological Society. This will be the second time that Vienna hosts a World Congress of Neurology. In September 1965, the 8th World Congress of Neurology took place in Vienna. Among the Honorary Presidents was Sir Gordon Holmes. The President was Hans Hoff, the Vice President was Franz Seitelberger, the Scientific Secretary was Helmut Tschabitscher, and the General Secretary was Franz Gerstenbrand, who will also take part in the 21st World Congress of Neurology this year. The World Congress of Neurology in Vienna is likely to be particularly well-attended, since the European Federation of Neurological Societies (EFNS) has agreed to combine its annual meeting with the World Congress of Neurology, as has the Austrian Neurological Society; thus the World Congress will be a combination of the Austrian Neurological Society, the EFNS, and the WFN meetings. The broad activities and vision of the upcoming WFN Congress will help to shape the future of neurology in the age of globalization.